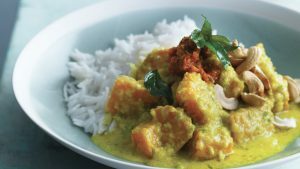 If you’re looking to save time with this recipe you don’t have to make the curry powder from scratch, a good quality madras curry powder has similar spices and does the job well. 1.3kg 3 large sweet potato cut into 4cm chunks, roast in a pre heated oven at 180c until fully cooked, remove from oven and set aside. Serve in a bowl, garnish with roasted cashew nuts. 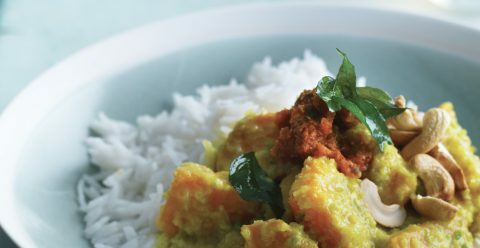 Serve with some basmati rice and spicy sambal.